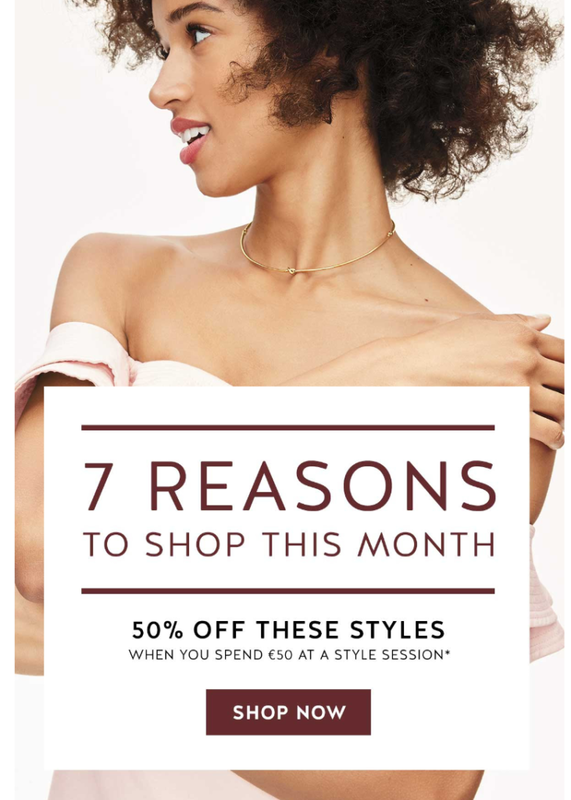 Stella & Dot - 50% off all month long! There are seven reasons to ship this month - 7 styles with amazing discounts! Enjoy up to 50% off these styles when you spend 50euro at a style session.